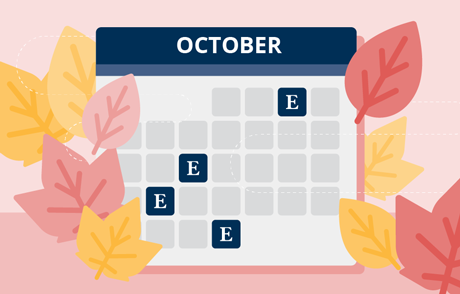 October: Where Is EBSCO This Month? Stop by and check out EBSCO at booth #1 for all the latest product updates. EBSCO is sponsoring the Ohio Library Council Conference and will be exhibiting at booth #302. Use the #OLC18 hashtag on social media. Georgia Libraries are “Open to All”! Learn more about what EBSCO has to offer at booth #29. 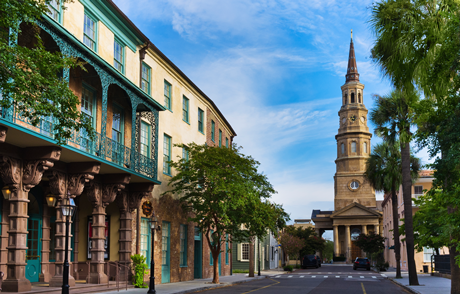 Join us at the NLA/NSLA joint conference at booth #4 for the latest updates. Use the #neblib2018 hashtag on social media. EBSCO will be at booth #101 at the annual Illinois Library Association – be sure to stop by. Use the #ILAAC18 hashtag on social media. Find us at the Missouri Library Association Annual Conference where we will be holding a raffle for a Tile Bluetooth tracker at EBSCO booth #13. Use the #MLA2018 hashtag on social media. EBSCO will be at booth #7 during this year’s Minnesota Library Association Annual Conference. Use the #mnlib18 hashtag on social media. Join EBSCO at the Nevada Library Association’s Annual Conference. EBSCO Regional Sales Managers, Sam Williams and Donna Liss will be presenting at two sessions, Tips & Tricks for Incorporating Learning Express Library into your Library’s E-Resource Offerings and Practical Methods for using EBSCOhost Databases to teach Information Literacy and combat Fake News. Join us at the Pennsylvania Library Association’s Annual Conference at booth #101. Find EBSCO at booth #33. 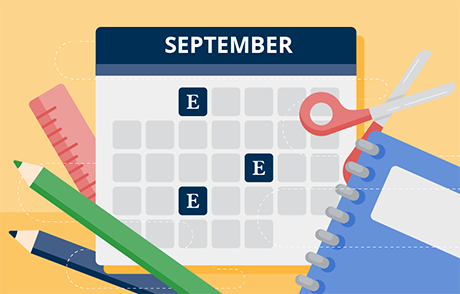 EBSCO is sponsoring the Michigan Library Association’s Annual Conference – find us at booth #9 where we will be talking about AutoMate, eBooks, e-journals/ e-packages, LearningExpress, PrepSTEP and MyHeritage. Use the #MLA18AC hashtag on social media. EBSCO is sponsoring this year’s conference – be sure to join us in Mississippi for a presentation on Flipster and EBSCO Discovery. Use the #misslib2018 hashtag on social media. Join us at booth #502 for the latest EBSCO product updates. Use the #NELA2018 hashtag on social media. Join us in Connecticut where James Miller will be presenting at this year’s conference on SaaS Solutions in a session called Improving the Experience and Returning the Power to End User. Use the #cecacasl18 hashtag on social media. 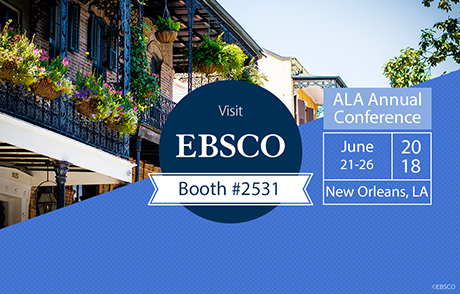 EBSCO is sponsoring this year’s WLA Annual Conference – be sure to find us at booth #57. Use the #WLA18 hashtag on social media. EBSCO is sponsoring this year’s joint conference with the Kansas Library Association and Mountain Plains Library Association for the MPLA’s 70th anniversary. Use the #KLAMPLAConference2018 hashtag on social media. Join us in Michigan with Joe Ceterski for his session MeL’s New EBSCO Resources for Your k12 Students on October 25th at 7:30 am. EBSCO will be sponsoring the New Mexico Library Association Conference – find us at booth #30 to learn about the latest product updates.